One tale, that was told by an ex-landlord, was that of a brewery worker that came to change the beer lines in the cellar. Kevin (the landlord) took the worker a drink of coffee into the beer cellar and left it on a ledge. A while later the worker rushed up the stairs and crashed through the door and into the pub area. He was white as a sheet and shaking with fright. Kevin sat the man down and waited for him to calm himself before asking what the problem was. After a lengthy time, the worker calmed himself and described how the cup of coffee had been floating around the cellar on it's own. 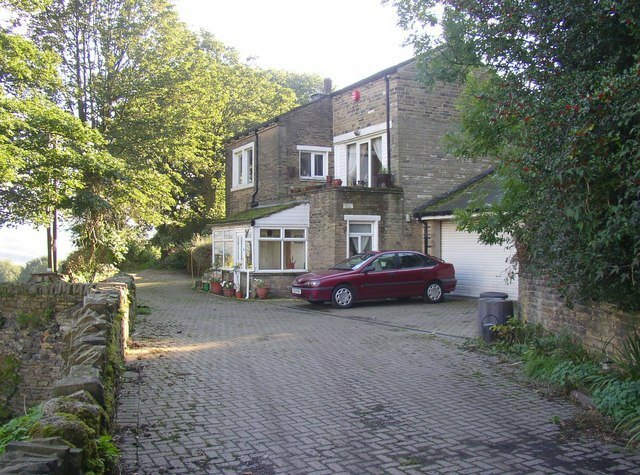 On 25th September 1948, this terraced cottage in Southowram, also known as Craggan, was the scene of most brutal murder. The seventy year old occupant, Ernest Hargreaves Westwood, was discovered by his neighbour just before noon of that day, lying on his bed with severe head injuries. He was rushed to Halifax Infirmary but died later in the afternoon. The crime outraged the hilltop village. Westwood had been a well-respected member of the community, serving as organist and choir master at the nearby Methodist church and despite having retired from his main career, he continued to work collecting small debts in the district. Police did not have to wait long to find their culprit, who turned himself in the following Monday pleading “I didn’t mean to kill him. I lost my temper.” The murderer was Arthur George Osborne, a twenty-eight year old originally from Bognor Regis, who’d been living locally for several years. 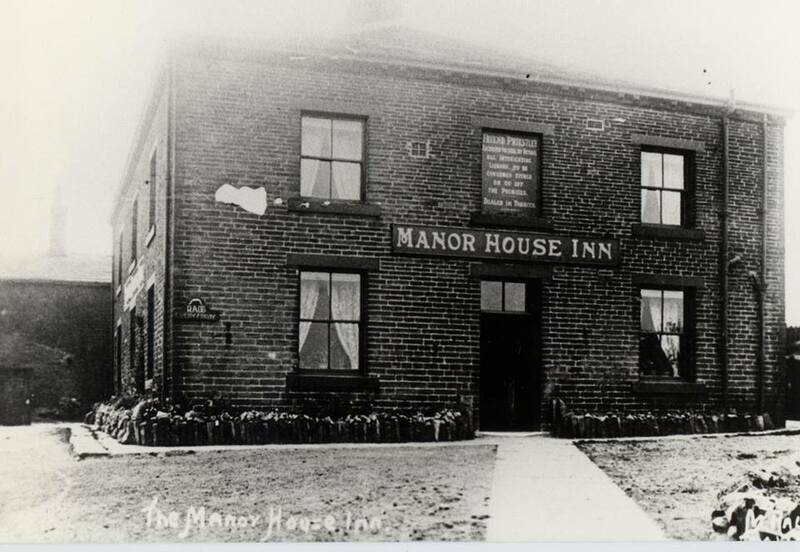 He was recently unemployed, whilst his wife had been committed to Storthes Hall mental hospital in Kirklees. He claimed that the murder was the result of a burglary that had gone wrong and he had only killed Westwood accidentally during a confrontation, striking him on the head several times with the handle of the screwdriver he’d used to effect entry. During the trial, it emerged that not only was Osborne a murderer, he was also a potential bigamist. A second marriage to a girl in Chichester had been due to take place on the day of the murder but it was cancelled when he failed to appear. Despite a recommendation by the defense that he be charged with the lesser crime of manslaughter, the jury returned a verdict of murder on December 1st. At this time, all such verdicts carried a mandatory capital sentence and whilst the judge appealed for clemency, the Home Secretary saw no reason to make an exception and Osborne was hanged at Armley Jail on December 30th 1948. The house on Law Lane in which the murder had taken place remained empty for a couple of years after the act, during which time it acquired something of an evil reputation amongst local folk, scarcely surprising for a building with such a macabre history and air of abandonment. When Police Constable Vincent Egan moved into the cottage with his wife in 1950, they were fully aware of its past but remained undeterred. Nonetheless, prior to their subsequent departure from the village in January 1954, Mrs. Egan told the Brighouse Echo of a mysterious disturbance she’d experienced during her first week in the house. It was a dark and stormy night, as is so often the case in such stories, not to mention in the hilltop village of Southowram. Her husband had gone out to walk his evening beat so Mrs. Egan was alone in the house, which still lacked a “warm, occupied atmosphere”. No sooner had she gone to bed than she her heard a rapping from above her head and from the corner of her eye saw the trapdoor into the underdrawing seemingly rise and fall of it own accord. As it continued to do so, she fled the building to search for her husband. He assured her that it must be a draught but given the reputation of the house, many at the time thought otherwise. An article published in the Evening Courier on 29th June 1983 recounts the story of a mysterious apparition which apparently manifested following the wedding of Martyn Rhodes and Jacqueline Longstaff at the Wesleyan Methodist Chapel in Southowram. As the couple departed from the church following the ceremony, they were filmed by the groom’s uncle, Derek Rhodes, located in the gallery above and whilst they were posing for photographs at the entrance, an old woman in black mourning attire including a veil was allegedly caught on the film, appearing to speak before fading away. Nobody in the wedding party recalled seeing such a person, who would surely have been conspicuous in the small chapel, whilst the church steward of 25 years, Arthur Coates, denies knowledge of any such woman in the regular congregation. However, it is interesting that according to the Courier article, nobody other than Mr. Rhodes – who was “on holiday” at the time – had seen the film when the report was published and there appears to be no follow up article. 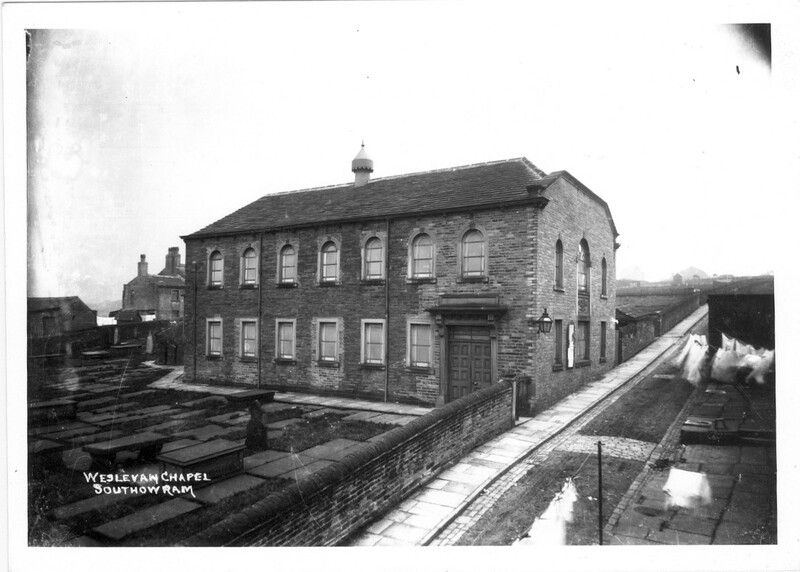 Efforts by author Andy Owen to trace the Rhodes have proved unsuccessful, whilst the chapel closed due to dwindling congregations in 2005 and was converted into apartments. 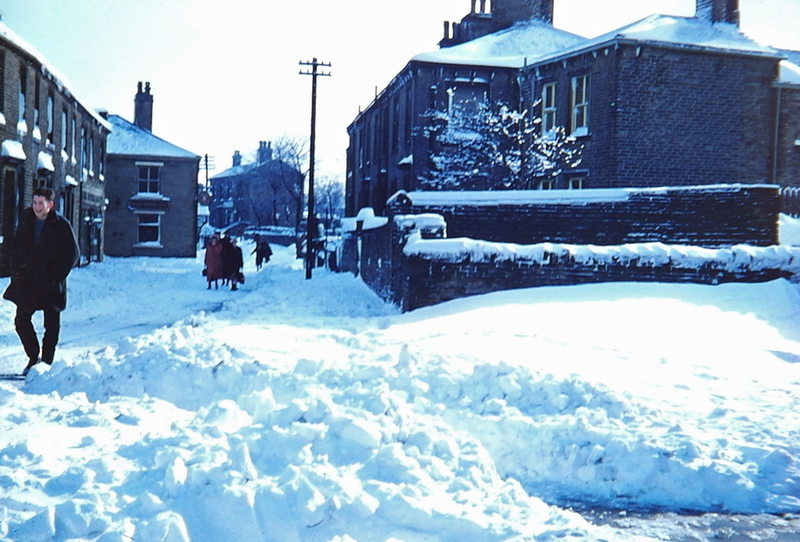 In his 1983 book “Yorkshire’s Ghosts and Legends,” Terrence Whitaker relates the story of a haunting at a property near Bank Top (the area of Southowram before the hill descends towards Halifax) in February 1962. The tenant Mr. John Harris was alone in the house whilst his wife was in hospital after having a baby. and one night at around eleven o’ clock when suddenly he heard “a resounding crash… the cat leapt up and appeared to fly around the room several inches from the ground, howling in terror,” followed by the sound of “giant footsteps crossing the room overhead, from one corner to the other, slowly and very loud”. Harris investigated but found nothing which might account for the phenomena. Upon discussing the experience with his neighbour the following morning he was told that he would have to get used to such disturbances, as she had heard them herself many times over the years. 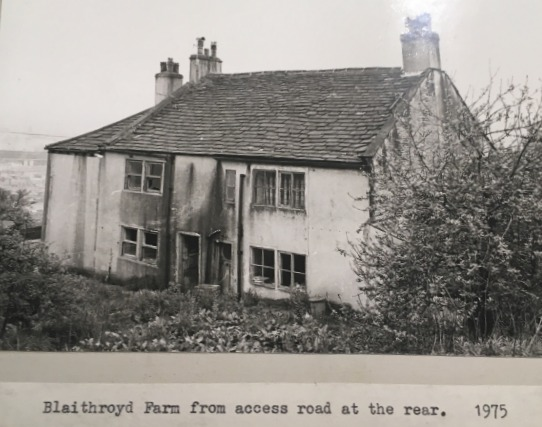 Subsequent research by Mr. Harris revealed that the house he occupied had once been part of Blaithroyd Farm, formerly Blaithe Rood, where accordingly to John Crabtree in his “Concise History of the Parish and Vicarage of Halifax” occupancy dates back to at least the 14th Century. Crabtree goes on to claim that in the late 16th Century, during the reign of Elizabeth I when the practice of Catholicism was banned, papists would gather to worship there in secrecy. He also says “a little distant from the house was also some ground in the delph-brow called the burying-place”. In apparent confirmation, Whitaker writes that builders excavating land behind the house prior to the tenancy of Mr. Harris had in fact disturbed a mass burial site which they took for a plague pit or an internment following the 1643 Civil War skirmish at Bloody Field on the lower flanks of Beacon Hill nearby. Such history is certainly ripe with potential for unquiet spirits.